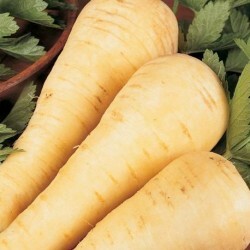 Parsnip White Gem is a half long type with very white flesh. Heavy cropper and excellent quality. 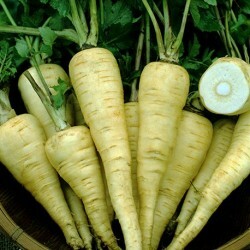 Parsnips are a great source of carbohydrates and contain Vitamin C and potassium. The roots can be boiled, roasted and used in stews, casseroles and soups. For some, roasted parsnip is an essential part of Christmas dinner. 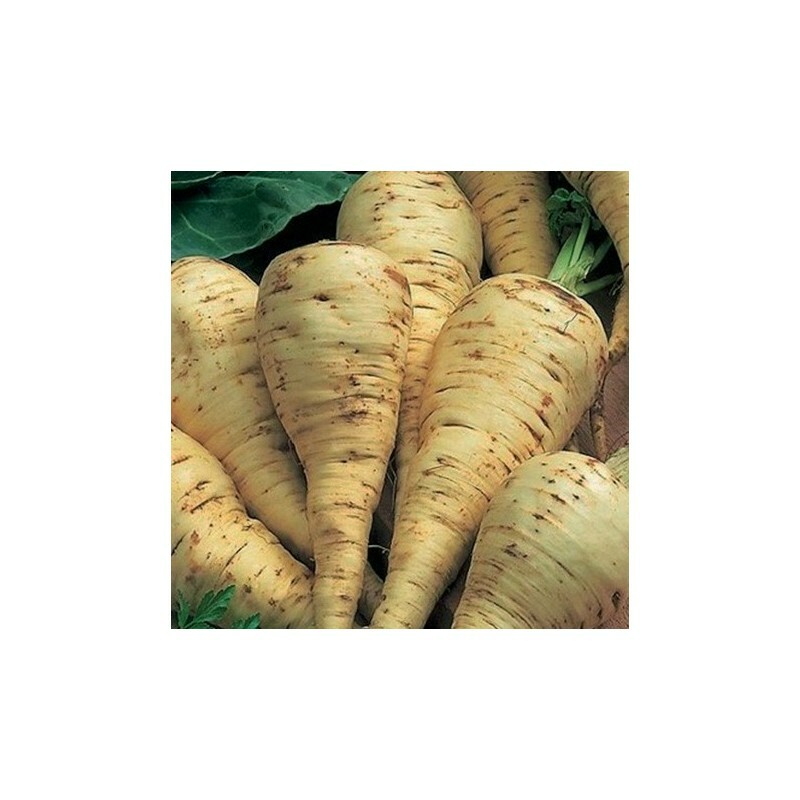 Check out how to grow parsnip in details here: Growing parsnip. 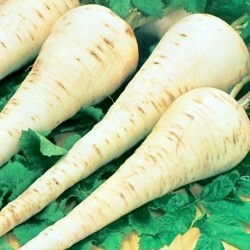 Sow the parsnip seeds in well drained garden soil, late March - May. Sow 1 cm deep, leaving about 30 cm between the rows. Germination can be slow.